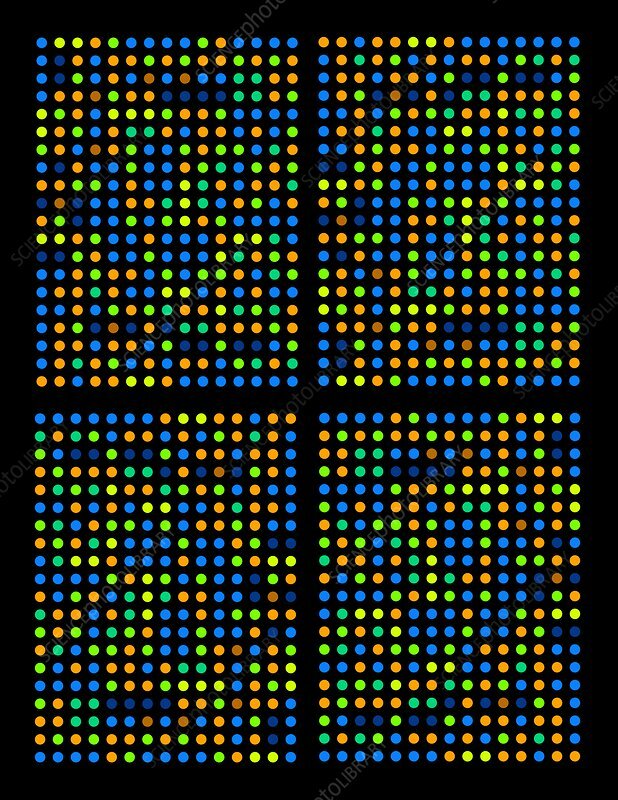 DNA microarray, computer artwork. DNA (deoxyribonucleic acid) microarray technology allows biologists to study thousands of genes at once. An array of DNA sequences for a particular set of genes is created, fixed to a supporting slide or chip. Samples of genetic material are then labelled with fluorescent markers and added to the chip. The genetic material in the samples binds to sites on the array which have a matching (complementary) sequence, producing a pattern for analysis The double helix structure of DNA that enables the complementary binding. It comprises a sugar-phosphate backbone and paired bases.